Need just the right location? 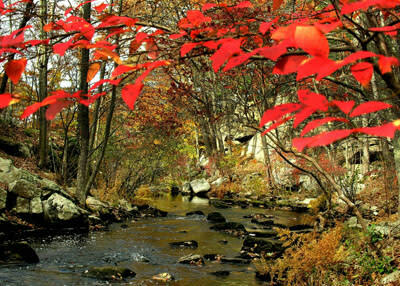 Westchester Parks offer versatile backdrops for filming and are a location manager’s paradise. 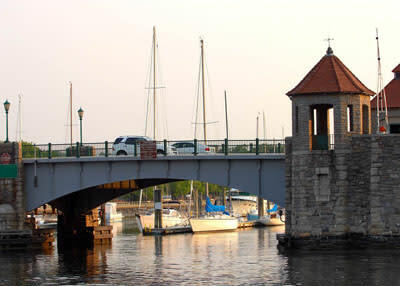 The parks include a 300-foot high dam, secluded woodlands, open meadows, a 1900s gentleman’s farm, historic homes, golf courses, pools, and an island connected to a bustling city by a 1920s drawbridge in the middle of the Long Island Sound. It’s hard to imagine more versatile locations. 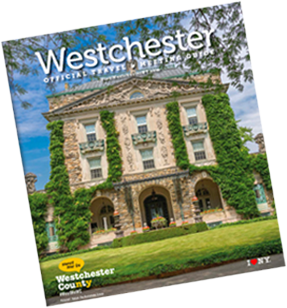 “Westchester’s locations that can stand in for just about anything,” said James Caponera, director of Westchester County Parks, who’s a 37-year veteran of the parks system. And they have. The Glen Island Bridge stood in for a bridge in St. Petersburg, Russia, in an episode of the CBS science fiction drama, Person of Interest. 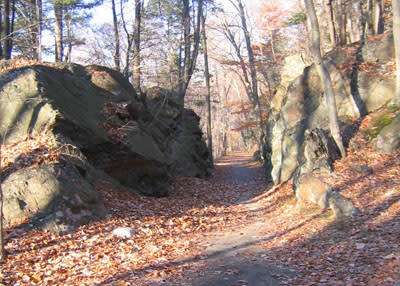 The forest in Ward Pound Ridge Reservation was the setting for Richard Harrow’s suicidal scene in HBO’s Boardwalk Empire. The Reservation’s grassy meadow served as a dog park in a Blue Buffalo pet food commercial. Suburban Saxon Woods Park in Scarsdale was transformed into a secluded wooded area with an abandoned cabin for HBO’s The Leftovers, perfect for some of the show’s unsettling scenes. And it’s not just filmmakers who are attracted to this county; Westchester’s parks have graced the pages of Vogue and fashion retailer websites like Urban Outfitters. Ward Pound Ridge Reservation in Cross River is one of the most popular park sites, because of its size (4,300 acres) and diverse landscape (trout streams, mountain vistas, wooded areas, and a bucolic meadow), according to Jeff Main, park superintendent, and director of the conservation program. He works with location and production manages to ensure their expectations for filming are met while the rich biodiversity of the county’s parks is preserved. While location managers appreciate the beauty offered by Westchester’s parks, Main said he appreciates when productions respect their natural surroundings—in fact, some county parks have benefited permanently from filming. When HBO built a cabin in Saxon Woods for The Leftovers, they brought in plantings that were ultimately donated to the park. When filming War of the Worlds, production crews made shoreline improvements to Croton Point Park. After filming Boardwalk Empire, HBO contributed to the planting of a new white oak tree, replacing a 400-year old oak destroyed by lightning. It is this mutual appreciation that makes the relationship between parks and Hollywood work, said Main.